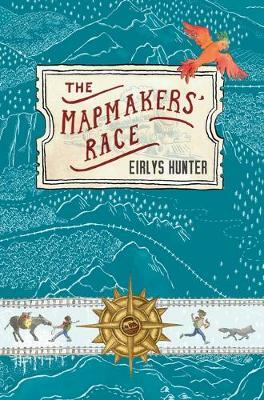 "Joe, Francie and Humphrey misplace their famous mapmaker mother as they begin the Great Race to map a rail route through an uncharted wilderness. Their father didn't return from his last expedition and now their money is gone. This race is their last chance. They have twenty-eig... read full description below. They overcome the many obstacles posed by nature-bears, bees, bats, river crossings, cliff falls, impossible weather-but can they survive the treachery of their competitors? This is a fast-paced and charming novel. Its children are brave and competent but not always right. Its world is magical enough to be intriguing but close enough to our own to keep the reader on firm ground. Eirlys Hunter is a London-born fiction writer who lives in Wellington, New Zealand. She has published seven books for children as well as a novel and short stories for adults. Hunter teaches writing for children at the IIML at Victoria University. Eirlys Hunter has lived in Manila, Singapore and the Middle East. She has worked behind a bar, primary school teaching, cleaning a cliff-top fort, sorting mail and sending sand to the Middle. Hunter has always loved maps-imagining the landscape they're showing and what might happen there, as well as how to get from one place to another. Her obsession with maps sent her to Cambridge University to study geography. When it turned out that maps didn't come into the course, she spent her time acting in plays instead.